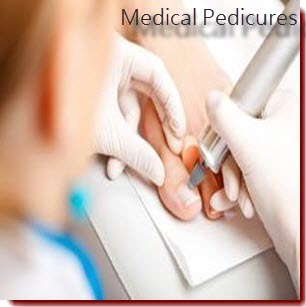 Pedicure – A pedicure is a treatment which is done to improve the appearance of one’s feet and toe nails. Pedicures are necessary as they prevent or improve nail diseases and disorders. A pedicure is known as a cosmetic, therapeutic and medical treatment. A pedicure consists of a granular exfoliation, the removal of dead skin cells and the treatment of the cuticles, a foot massage is included towards the end before the application of nail enamel or gel, with the clients’ choice of any additional small designs or patterns.